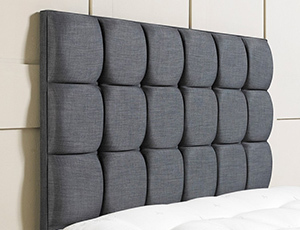 We offers extensive ranges of headboards which would suit with any style of beds. This headboard includes single, double, king and super king size. We have a choice Of material, including wooden, leather, faux leather, fabric, metal, oak, pine, upholstered, high gloss, dark wood, light wood, mdf and others. Browse our headboard collection and find the perfect for your bed.